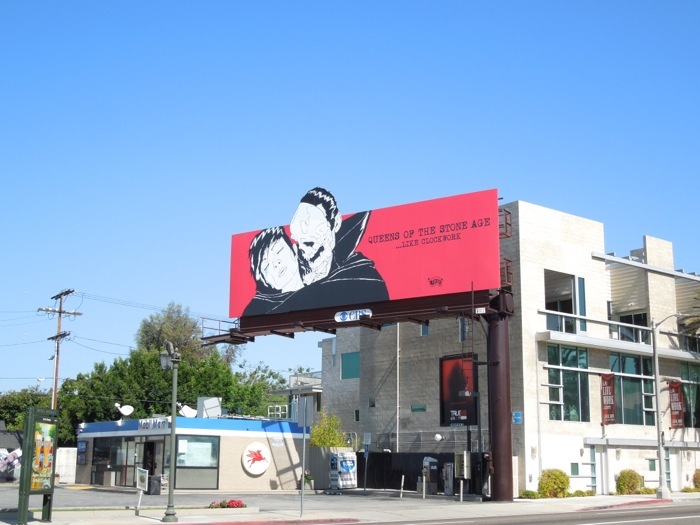 There's nothing like a vampiric Phantom of the Opera looking gentleman to catch your eye as you pass by, especially when he's on a special extension billboard too. 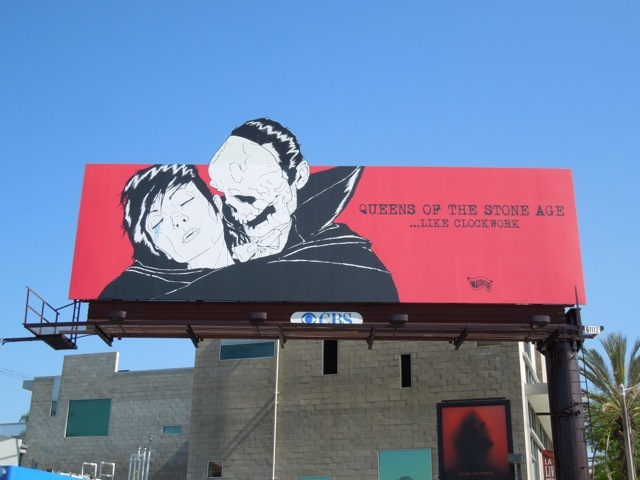 This supercool visual is taken from the Queens of the Stone Ages sixth studio album artwork, ...Like Clockwork. 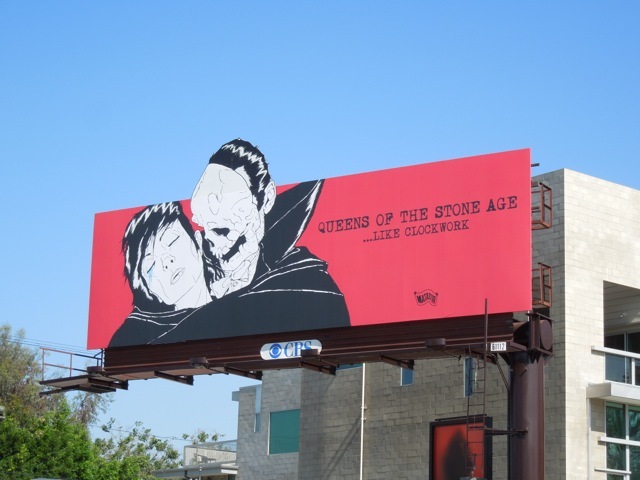 This billboard for the rock band was spotted on the corner of Melrose Avenue and Highland Avenue on May 29, 2013 and the new album is available from June 4, 2013. 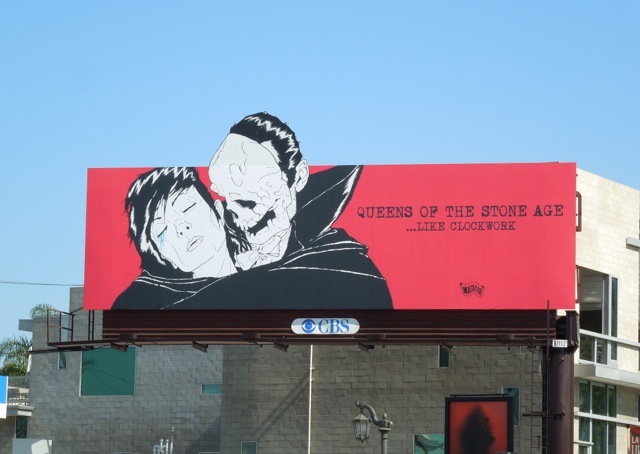 Be sure to check out other cool music billboards here at Daily Billboard.